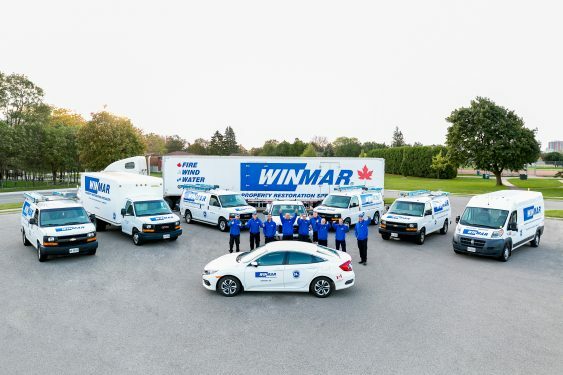 As part of Canada’s largest restoration network, WINMAR® London has been in business for 41 years. Owner, John White has been in the construction industry for over 41 years and has earned the respect of his peers for his knowledge, honesty, integrity and a high level of professionalism. WINMAR® London services London, Middlesex County, Oxford County & Elgin County. WINMAR® performs restoration services for residential and commercial properties across Canada. We offer prompt, experienced, professional, well-equipped help resulting in substantial savings and reduced interruptions. We specialize in water damage, fire and smoke restoration services, mould inspection and removal, smoke and fire damage restoration, disaster recovery, as well as construction, renovation and demolition services. To ensure complete customer satisfaction, we consider every project’s unique and specialized requirements. WINMAR® London received the Consumer Choice Award Winner 2018 for the sixth year in a row. We are certified with The Clean Trust (formerly known as the Institute of Inspection Cleaning and Restoration Certification) and support the Better Business Bureau. The Institute of Inspection, Cleaning and Restoration Certification (IICRC) is an independent certification and standard-setting organization for the inspection, cleaning and restoration industries. The IICRC ensures that when consumers hire a cleantrust Certified Firm or technician, they have hired experts who will provide reasonable assurance that work will be completed in accordance with the industry’s standard of care. The Esporta Wash System can be used in a number of situations including fire/smoke contamination, sewage contamination or flood contamination. The Esporta soft goods cleaning system can handle all of these challenges and more. Shoes, Jackets and even sporting equipment can be rescued. Treasured family items that would have previously be destined for a landfill are now being returned to their rightful place in the family home. Our technologically advanced Fireline Systems equipment provides state-of-the-art cleaning, restoration and recovery capabilities for hard surfaced items as well as electrical appliances and electronic equipment. With this exciting technology WINMAR® now successfully restores previously un-recoverable expensive items such as computers, stereo equipment, televisions, large appliances, exercise equipment and highly sophisticated medical equipment. Xactimate is the industry's number one estimating solution for insurance repair. Xactimate has been used to write more claims than any other solution and has proven itself in some of the smallest claims to some of the largest catastrophes in history. With over 90 locations across the country, each WINMAR® franchise is proud to be a member of our specialized property restoration community. If you experience a large disaster, our WINMAR® Catastrophe Plan ensures other members of the WINMAR® family will provide assistance to you and your neighbours.